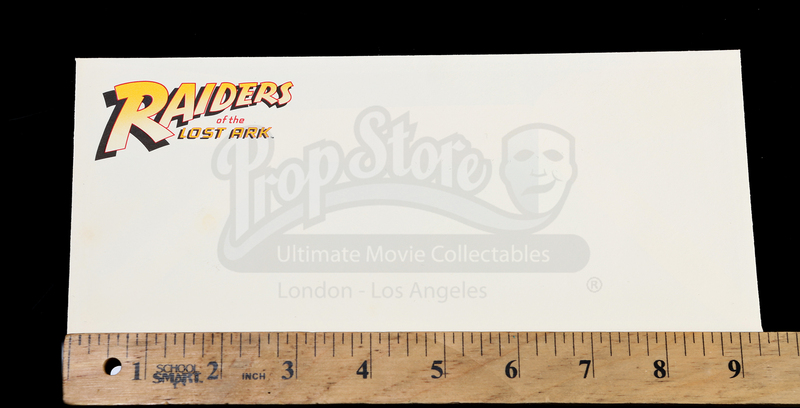 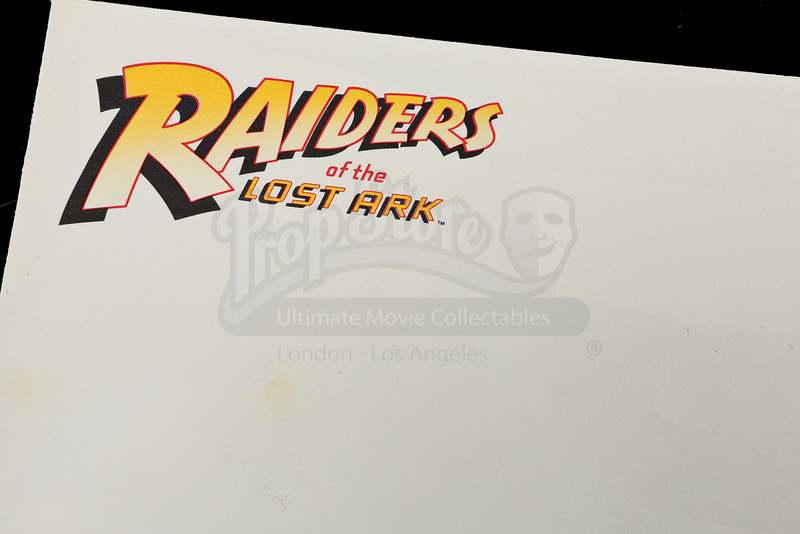 Envelopes made for use by the production companies and employees who worked on Steven Spielberg's classic adventure film Indiana Jones and the Raiders of the Lost Ark. 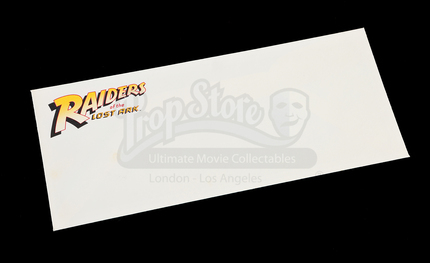 This envelope shows the film's logo at the top left corner. 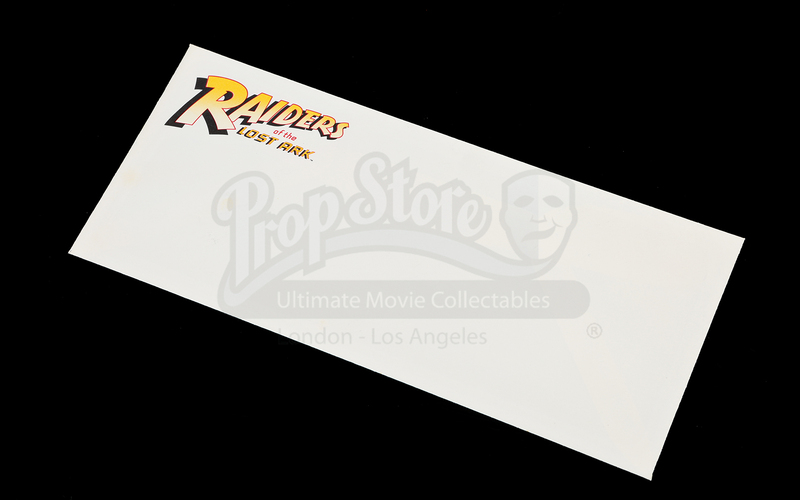 The back reads "Raiders Company" and gives the address of the company's North Hollywood location. 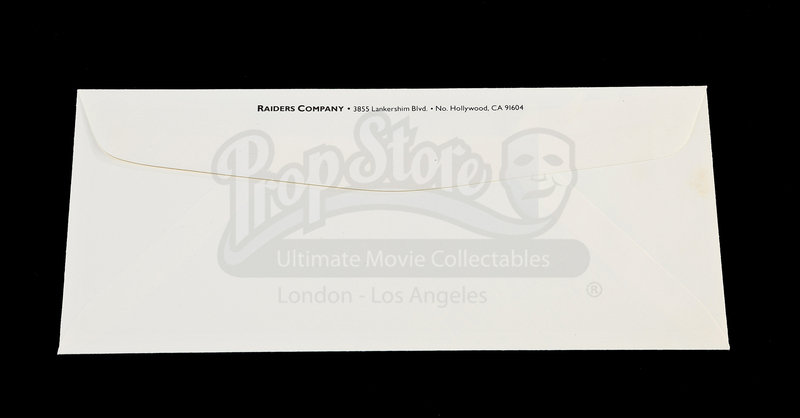 This envelope shows minimal signs of wear and is in overall great condition.